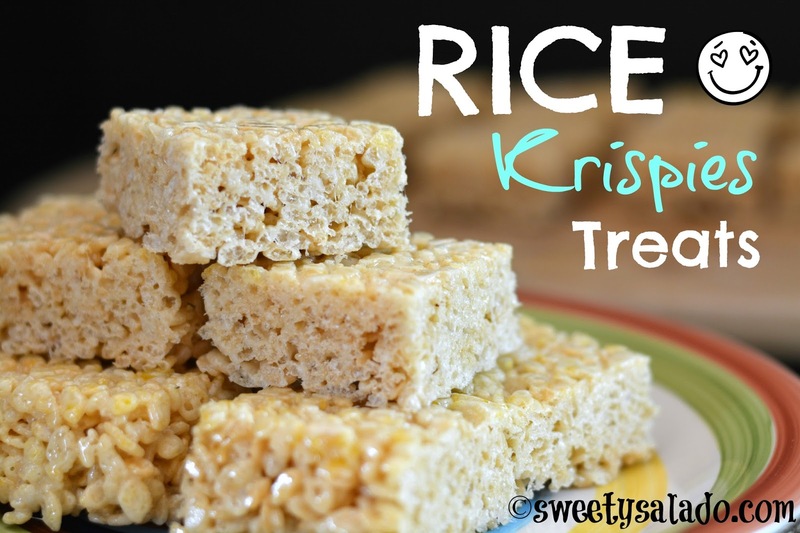 What can be easier than making Rice Krispies treats? 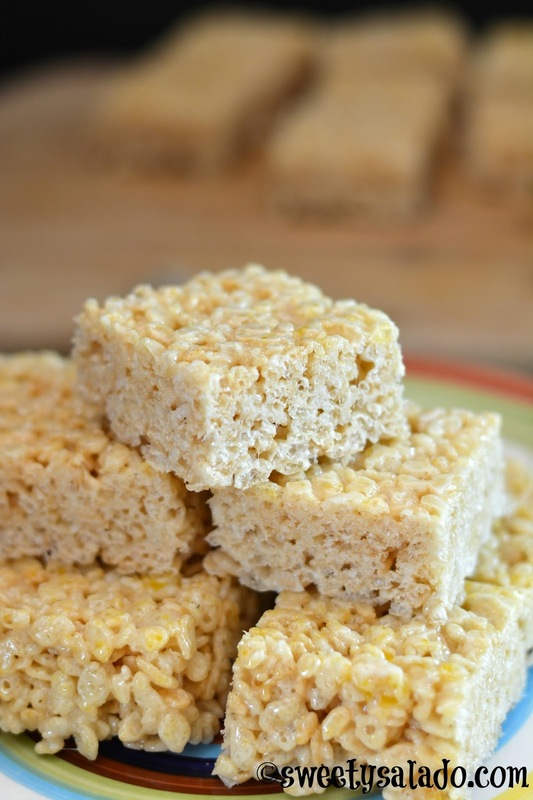 It’s a very simple and basic recipe that has been printed on Rice Krispies cereal boxes for years and the best part? You don’t need an oven to make them. I like making this recipe in the fall because for some reason it’s when my craving for something sweet starts to kick in. I’m not really a sweets kind of person but every now and then having a small treat like this will hit the spot. 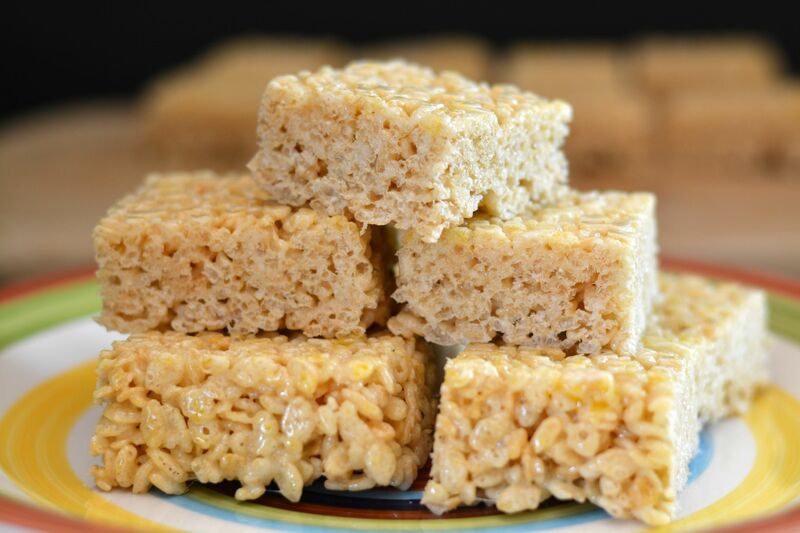 Like I said, making Rice Krispies treats couldn’t be easier. Just melt the marshmallows with some butter in a pot, mix it with the Rice Krispies cereal, set and you’re done. And feel free to add any of your favorite ingredients to give it your own spin like M&M’s, sprinkles, chocolate chips, peanut butter, whatever your heart desires. Grease a 9 x 9 inch (23 x 23 cm) pan with butter. Melt the 4 tbsp of butter in a large pot on medium low heat. Add the marshmallows and stir until they are all melted. Now add the vanilla extract and stir until it is well incorporated. Finally toss in the cereal. At this point you can add any other ingredient that you want (M&M's, peanut butter, chocolate chips, sprinkles). Stir until the cereal is well coated. Pour mixture into the prepared pan and press lightly with clean hands to fill in the pan. You can also grease your hands with a little bit of butter to make it easier. Let it cool completely at room temperature and cut into 16 small squares.